Employee life cycle -- sometimes spelled as employee lifecycle -- is an HR model that identifies the different stages a worker advances through in an organization and the role HR plays in optimizing that progress. In short, it refers to an employee's journey with the company. Certain stages in employee life cycle management overlap with core HR responsibilities and may involve using talent management software. Therefore, it is sometimes also referred to as HR life cycle, or simply HR cycle. 1. Recruit: This stage includes all the processes leading up to and including the hiring of a new employee. Some companies use talent acquisition software that enables them to design and automate all aspects of the hiring process, from using an application tracking system, pre-employment screening and scheduling interviews to following up with candidates. Talent acquisition software can help recruiters streamline the hiring process and attract top talent. 2. Onboard: At this stage, employees who have accepted job offers become part of the company's workforce. During onboarding, they are provided with the information and tools to work more efficiently and to integrate into the company culture. Employees learn about the company's policies, procedures and job duties, and they undergo training. They are also added to the identity and access management system of the organization. 3. Develop: This stage includes all the processes in which employees are given feedback for their work through performance reviews, one-on-one check-ins and meetings. Regular feedback is an essential feature of this stage because it helps executives gain insight into what motivates employees and it helps employees understand how well they have performed against goals. Frequent feedback can also boost employee engagement. 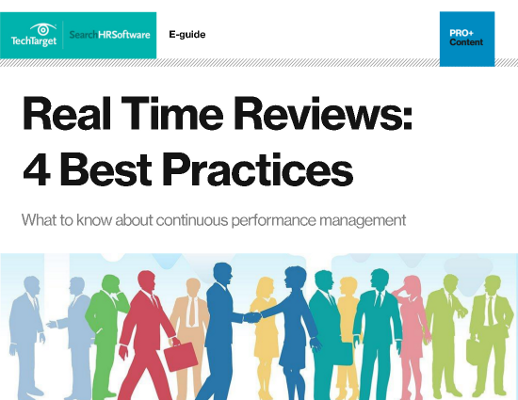 Numerous companies use a learning management system or performance management software -- sometimes included in an HCM suite -- to better manage employee activity, set goals and give timely feedback. Sometimes, personality profile tools are used to gather information that can help improve an employee's performance. 4. Retain: Once an employee is integrated into the company and has a sound understanding of his role, the next challenge is retaining the worker and ensuring continued employee development. Continuous evaluation, recognition and training are crucial at this stage for sustaining employee engagement and retaining the employee. HR professionals typically use talent management software to monitor continued learning, as well as succession planning that can identify candidates for promotion. 5. Offboard: This is the final stage of the employee life cycle, wherein the employee leaves due to a new job, retirement, layoffs, personal reasons or termination for violating company policy. In any case, the HR department must follow proper procedures and documentation in the offboarding process. Typically, HR will inform the employee about final pay and benefits. Offboarding is critical for helping employers maintain a strong corporate brand and gain valuable feedback from exiting employees. This information, in turn, helps companies better retain other employees and improve HR processes. Employee life cycle management is considered a crucial function of the HR department because it deals with the most valuable asset of the organization: its employees. Establishing a life cycle program gives employees a consistent series of steps through their careers in a company, and it enables employers to analyze data -- such as what workers reveal during offboarding -- which can lead to HR improvements. Digital HR technologies are available to support the entire employment cycle of employees, including in the cloud. Key players in this market include Oracle, Cornerstone OnDemand, SAP SuccessFactors and Saba Halogen. How have digital HR technologies helped to better manage employee life cycle processes in your organization?